Home Uncategorized Ahh…Glamping! Come Experience It for Yourself Now! The leaves are beginning to hint at autumn, but the days are still sunny and warm. Cooler nights invite campfires and star gazing. You want to commune with nature and once upon a time you used to loved to camp…but really? Sleep on the ground…in a tent? Not happening. Well, now you can enjoy the great outdoors AND satisfy your need for creature comforts. Welcome to the world of glamping! This may be a new term for you, (it did not officially become a word until 2006) but this fusion of glamor and camping is becoming a popular global travel trend that emerged in the U.K. in 2005 and arrived in the U.S. a few years ago later. Now, several million Google searches for “glamping” are done every year. Independent properties and global hospitality brands across American and abroad, situated in gorgeous locales, offer room-sized tents, yurts, Airstreams, pods, and tree houses—most with real floors, expensive mattresses, fresh linen sheets, upholstered chairs, and hot showers. Say goodbye to pitching a tent and unrolling that sleeping bag! 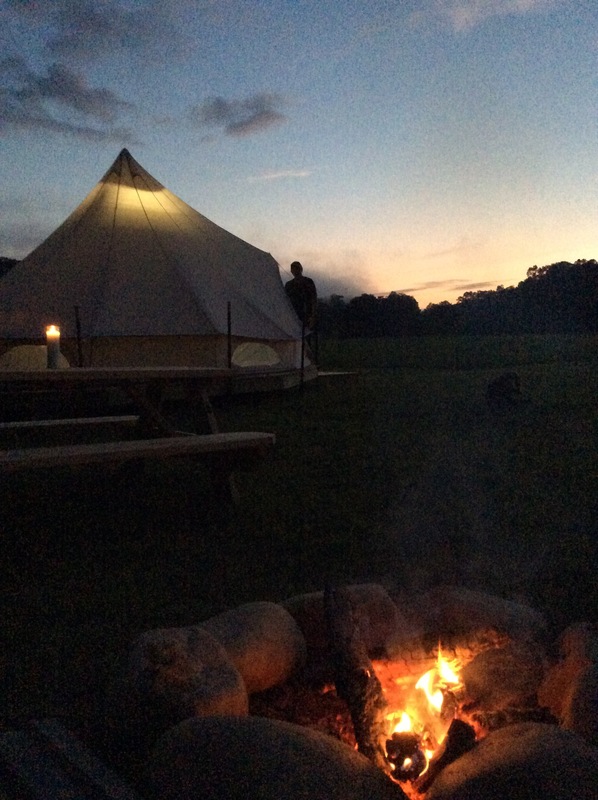 With glamping, you can experience the joy of sleeping outdoors, take that much-needed break from your busy life, climb a mountain, snorkel in the sea, kayak down a river, or take a leisurely amble through the woods at hundred of destinations, and then, at day’s end, return to your fabulous, secluded glamping site to be one with nature—all without sacrificing luxury. According to Wikipedia, (https://en.wikipedia.org/wiki/Glamping) the idea of luxurious tent living is not new. In the 16th century, the Scottish Earl of Atholl prepared a fantastic glamping experience in the Highlands for visiting King James V and his mother. The Duke pitched lavish tents and filled them with all the provisions of his own home palace. More recently, in the 1920s, an African safaris became “in” among rich Brits and Americans. Wealthy travelers in search of adventure were not willing to sacrifice comfort or luxury. From electric generators, to folding baths, and cases of champagne, travelers were afforded every domestic luxury while on adventure.